Sally Abé's English garden salad recipe is perfect for a light summer lunch, especially if dining al fresco. This gorgeous salad is packed with asparagus, broad beans, peas and radishes for vibrancy and freshness, while hazelnuts and crispy shallots add crunch and texture. 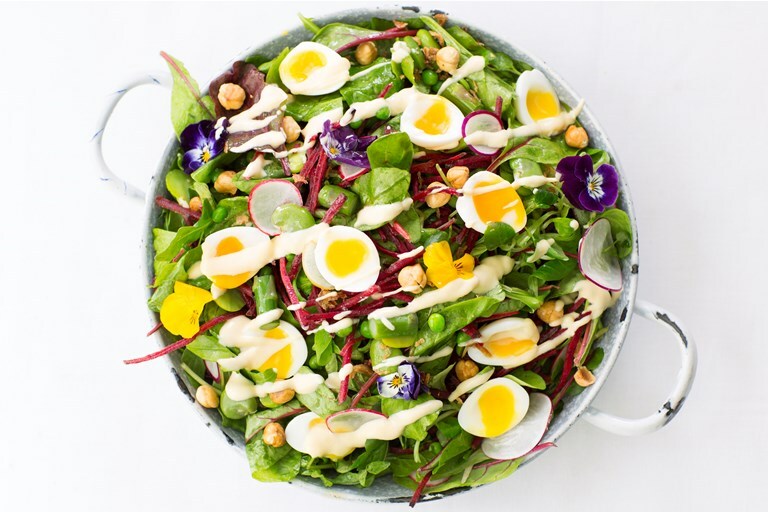 Finished with soft-boiled quails eggs and a homemade take on a classic salad cream recipe, this salad could be shared or served individually as liked.